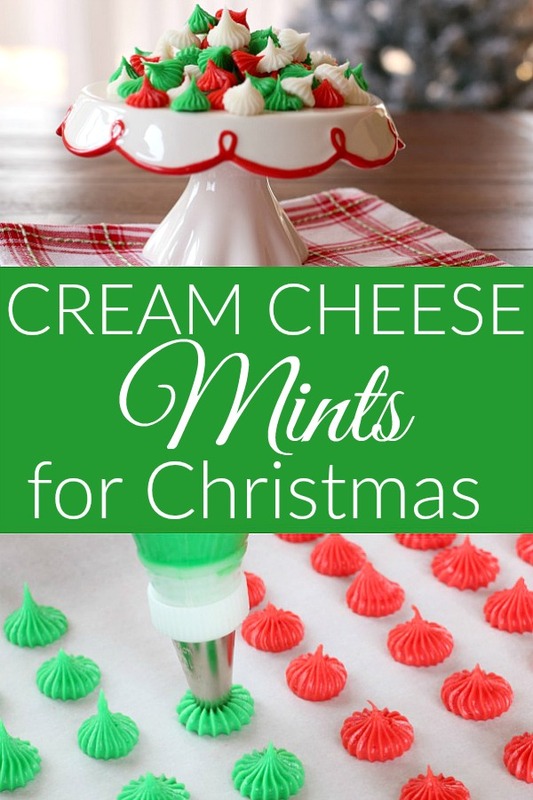 Making Cream Cheese Mints has been on my list for several years, with all the other Christmas baking to be done, I just never got around to it. But I will definitely be adding them to my dessert table this holiday season! They are super easy, taste delicious and turned out really cute in these little bite size stars. 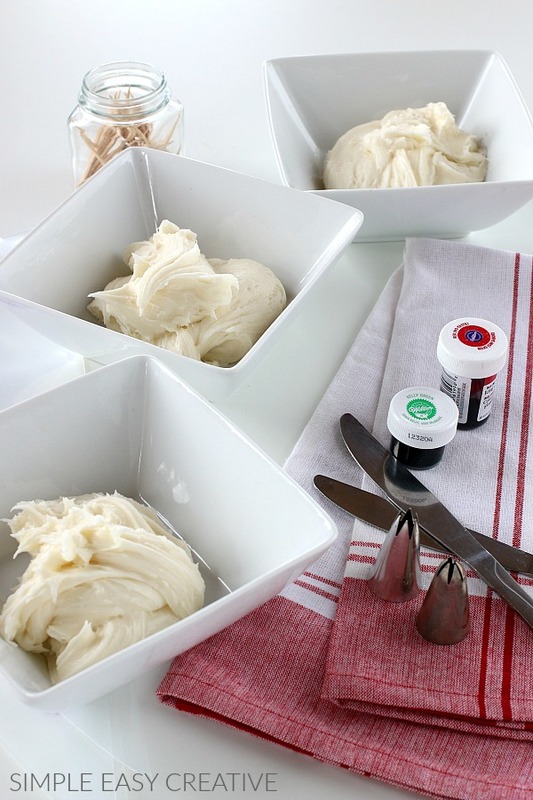 Once the basic Cream Cheese Mint Recipe is made, there are endless ways to shape them. You can even use mint molds. This time though, I chose to make them into stars using a piping bag and decorator tip #199. 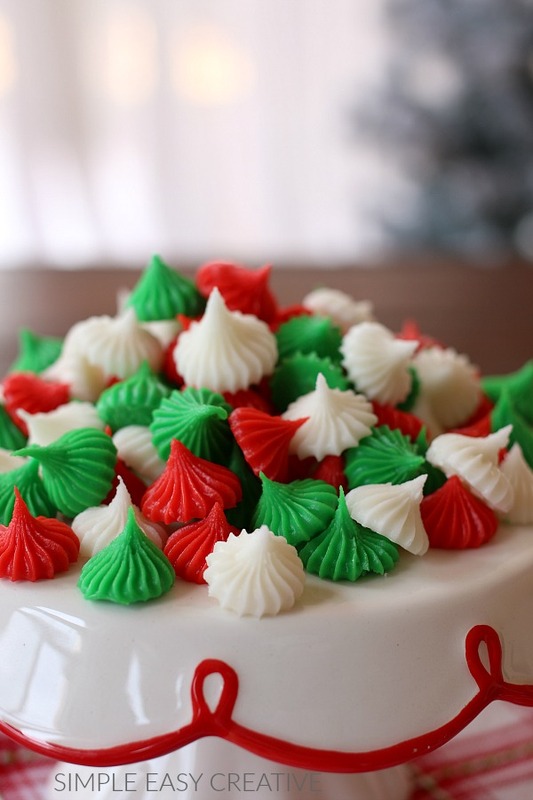 The homemade mints have only 4 ingredients – cream cheese, powdered sugar, peppermint extract and coloring. Since the mints are for Christmas, I chose red and green coloring. You can easily change the color to make them for any holiday or celebration. Pro Tip #1: If you are using red coloring, be sure to use – no taste red, otherwise, the regular red coloring is very bitter. Pro Tip #2: You can use any decorator tip that you like – star (open or shut) or round (small or large). I ended up not using the decorator tips in the photo because I wanted the mints to be bite size, so I used tip #199. The mints ended up being about the size of a dime. 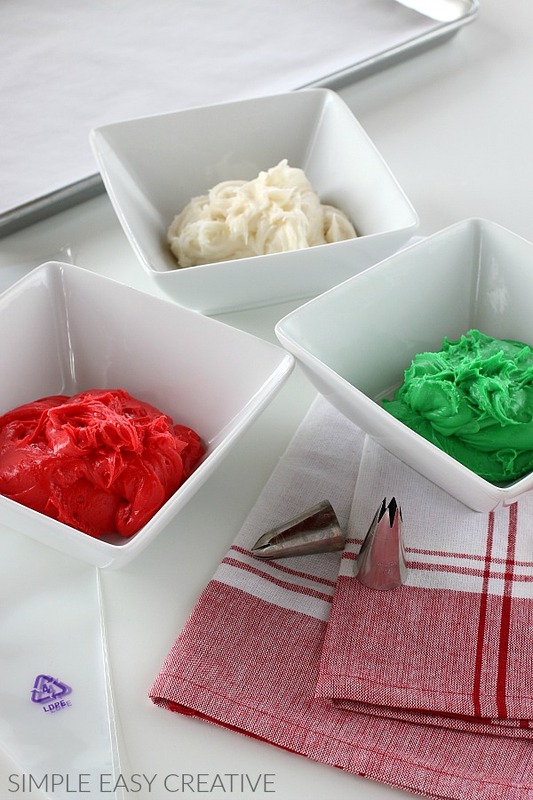 Divide the mints into three bowls, and color one with red and another with green. Be sure to mix it, until well combined and smooth. Now it’s time to pipe the cream cheese mints – line a cookie sheet with parchment paper first. Then pipe on the size of mints that you want. Pro Tip #3: The decorator tip #199 fits on a coupler. If you are using more than one color, you may want to use more than one decorator tip. I only have one and had to wash it several times in between piping the different colors. Pro Tip #4: These Cream Cheese Mints have peppermint extract in them, but you can certainly use other flavoring if you aren’t a mint fan. I will add though, the peppermint is not overwhelming in this recipe. After all the mints have been piped, then it’s time to let them dry on the counter for at least 4 hours or until firm. The larger the mint, the longer it will take for them to dry. Making them at least a day ahead is best. They also keep really well in an airtight container in the refrigerator up to 1 month. You can also freeze them up to 4 months. Just be sure when you are storing them to separate the layers with parchment paper. And if you make the stars, be sure they are totally dry or the points will break off. 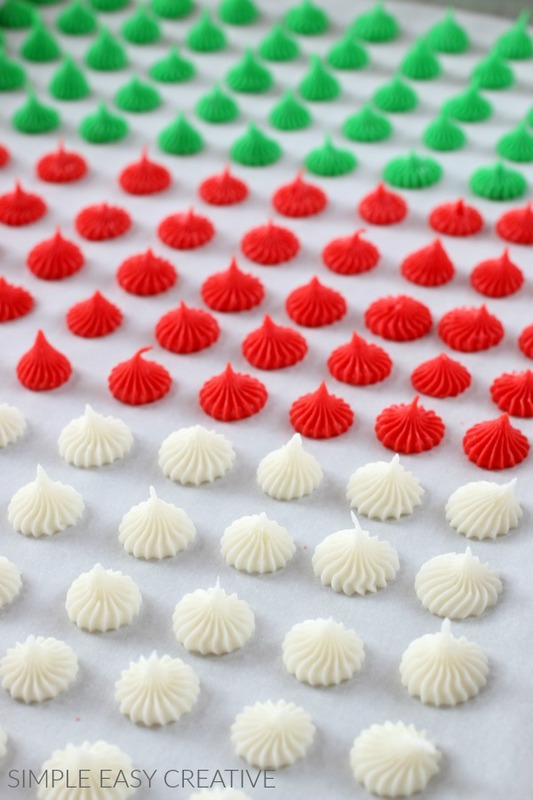 If you want the Cream Cheese Mints round, roll them into balls, then flatten with a fork. You can also roll them in powdered sugar to keep them from sticking to the fork. 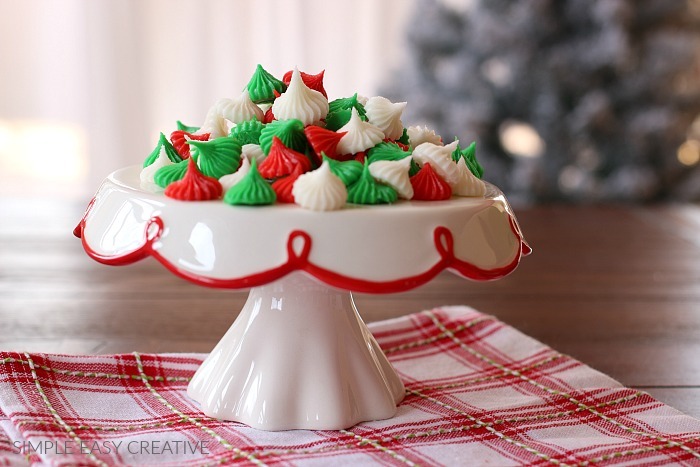 Easy to make Cream Cheese Mints, great for the holidays, or any celebration! Add decorator tip to bag, add mint dough and pipe on mints. 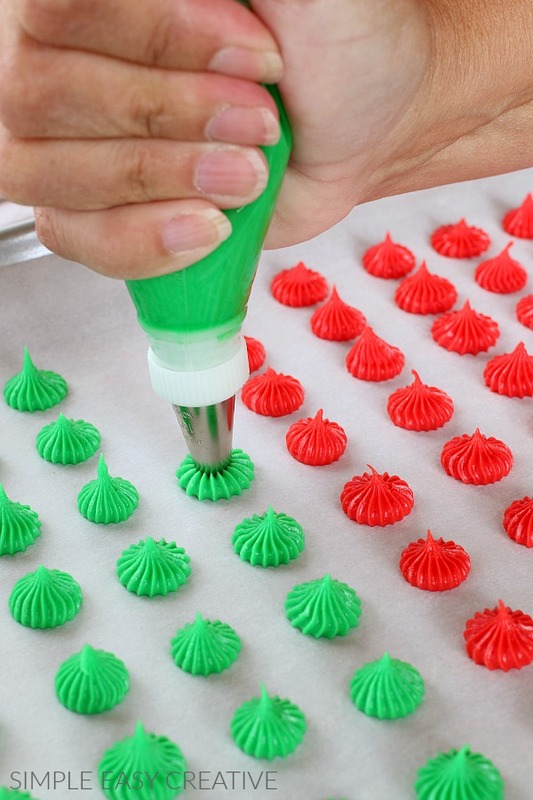 You can also roll the mint dough into small balls and flatten with a fork that is dipped in powdered sugar. The yield amount will depend greatly on the size of the mints. My Mother made 100’s of these in the shape of a red rose and green leaves for my sister’s wedding in 1964. Back in those days, the reception with food prepared by the families was served in the church dining hall and the dance was after the reception. Mom stored them in a deep freezer in shoe boxes telling us not to eat them because they were for the wedding. Needless to say, big brothers can talk little sisters into doing anything and a few were snitched now and then. That’s a great memory Lynn! I remember, even though I was little, when wedding receptions were held at the church. Thanks for sharing with us! Enjoy your holidays! do you know if these mints can be put into paper cups and then into slightly sealed bags for gifts? Hi Jaynie, yes they will hold up just fine for that. These looked so amazing. I made them last night. Problem though. I followed the directions, made cute stars with my decorator bag and they have been out over night. They will not set up and get hard enough to remove them from the silicone mat. I have even put them in a low temp oven this morning. No luck. Still too soft. Did I not use enough Powdered Sugar? The mix was pretty firm. Any tips? Hi MaryAnn, Sorry you are having trouble. I didn’t have that trouble, so I researched the answer. The only reason I can see is that your dough was too wet. Let me know if you have more question, I’m happy to trouble shoot with you. These are such pretty mints! I will definitely make these! I like your display of them. Thanks so much Betsy! I am thrilled that you like them! LOVE this idea! Perfect for the holidays! Thanks Jamielyn! 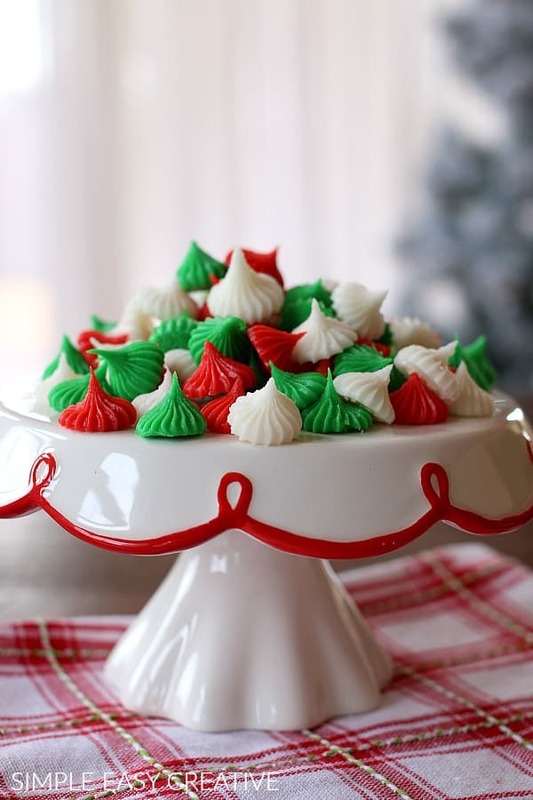 The cream cheese mints make great gifts too! Thanks so much Rachael! Thrilled you like the Cream Cheese Mints! These mints are so pretty! Will definitely be making for the holidays! Thank you Heather! They are really fun to make too! My kids love making these as teacher gifts! Such a great idea Sarah! I bet the teachers love them too!